For a limited time only, use promo code APRBHR to save an extra 5% off any Behr and Hella brand products and auto parts. Don't delay and buy today. 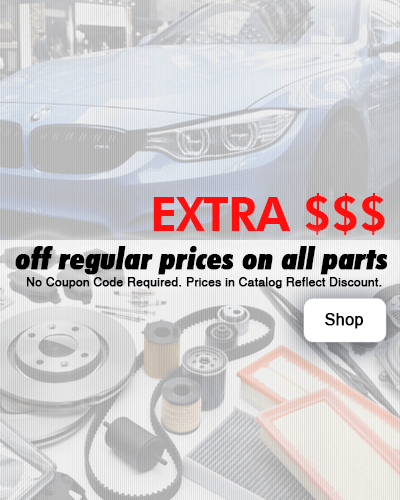 Save extra money off regular prices on all auto parts in our online catalog. No coupon is required. Prices are reflected in our catalog listings. AutohausAZ now offers free shipping for domestic orders over $48. Get 50% off 1-day shipping on any order. International orders are excluded. Orders can take up to 1 business day to process. AutohausAZ offers huge discounts on shipping, but our most popular shipping method just got even cheaper. Get your parts faster and cheaper. Order not over $48? No problem, you still get 35% off 2-Day Shipping. Not in the US? No problem! We offer business leading international rates on all shipping. The parts you need are closer and cheaper than ever.